In the run up to the release of The Fault In Our Stars, I felt very much as though I was the only person on the planet who had not read John Green’s 2012 best selling novel. Even when I was one myself, young adult fiction never really found a place in my reading preferences and the genre always seemed somewhat contrived in its attempts to be ‘down with kids’ on a manipulatively emotional and psychological level. In recent years, however, there have been a number of big screen young adult fiction adaptations that have taken me by surprise in a positive way, namely The Hunger Games and Divergent. Of course, The Fault In Our Stars could not be more different to the post apocalyptic, science fiction themes of those two stories, but being a fan of John Green in his YouTube personality capacity, I decided to set aside my reservations and give it a go. The film tells a melancholy tale of the romance between Hazel Grace Lancaster (Shailene Woodley) and Augustus Waters (Ansel Elgort), a sassy teenage girl suffering with terminal cancer and an even sassier teenage boy who has been in cancer free remission for eighteen months. 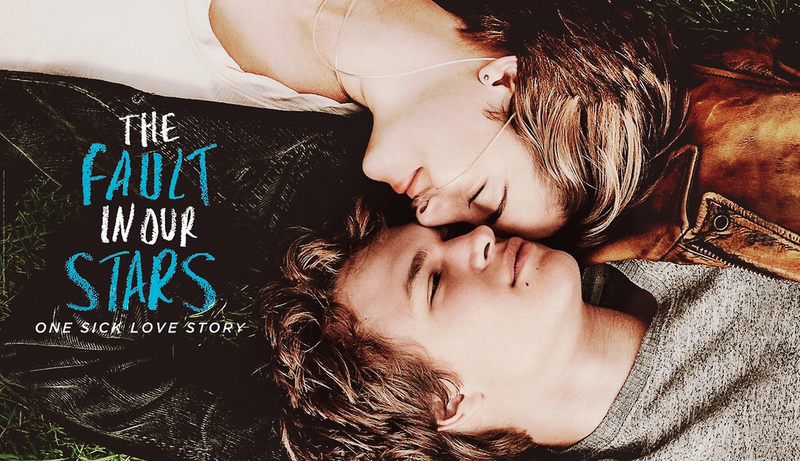 Bonding over more than just their shared illness experiences, Hazel and Gus begin a relationship filled with laughter and witty repartee, but with the threat and shadow of cancer ever present in both of their lives, the romance is a bittersweet construct for the audience to watch and in true weepy style, the obstacles begin to mount as the film quickly turns in to an examination of the power of human resilience and, ultimately, human acceptance. Whilst these themes are undoubtedly universal and accessible to all, I must admit that overall The Fault In Our Stars really didn’t do it for me. John Green has a very distinctive style of prose that whilst seeming poetic and elegant on the page, turns in to what I believe to be awkward and pretentious dialogue on screen. I found myself on more than a few occasions physically cringing at the existential ramblings of Augustus in particular, and a lot of the dialogue used throughout the narrative comes across as rather smug and self indulgent. This may have been remedied for me if the film on a whole had been a little less saccharine and sentimental. From what I have been lead to believe from trusted book reading friends, one of the most important qualities of the novel is that is gives an unreserved and unrelenting look at the degeneration of the human form and consciousness under the might and tragedy of cancer, and but for a few difficult and upsetting scenes, the film narrative chooses to keep the character’s awareness and sensibilities pretty much consistently upbeat throughout, even in their darkest moments. By opting for this slightly more sugar coated and fairytale like attitude towards terminal illness, the filmmakers have failed to give The Fault In Our Stars any real grit and bite, something it could have really done with to balance the whimsical, ostentatious nature of the language used throughout. Though I failed to connect with the film as a whole, I can certainly appreciate that the casting of Shailene Woodley and Ansel Elgort in the leading roles. Having previously starred together in Divergent another young adult adaptation that I had very much enjoyed, both actors seem extremely comfortable with one another, and having no book description or characterisation from which to compare, I have no real complaints on that front. Woodley gives a somewhat restrained and apprehensive performance as Hazel that gives the film some much needed grounding in comparison to the character of Augustus, who regardless of whether I connected with or not, is well portrayed and brought to life by Elgort, an awkward but fitting mixture of romantic hero and debate team geek. Perhaps my favourite performance of the entire picture, however, is that of Laura Dern as Hazel’s mother Frannie. Dern captures the essence of a mother trying to remain upbeat and normal but, ultimately, is counting down the days until her only child is taken from her, and her character’s unrelenting willingness and desperation to ‘keep calm and carry on’ is one of the most endearing, understated and most believable elements of the narrative. Other supporting roles of note are given by an impressive cast list including Nat Wolff, Sam Trammell and Willem Dafoe, each bringing a different perspective and experience to the narrative and helping to round the film out. 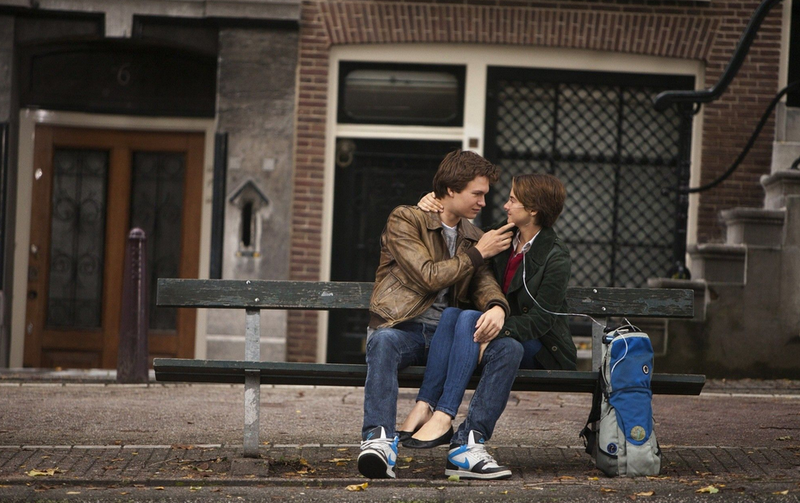 Overall, I feel like The Fault In Our Stars is a film that simply was not made for me. The novel has a huge following of devoted fans and the movie will no doubt follow suit, I have come to the conclusion that this type of romantic young adult fiction is just not something that appeals to me. Underneath the unusual context of cancer, the story is at heart a soppy romance, and give or take The Way We Were or An Affair To Remember, that genre of cinema lists among my very least favourite. Sure, there is certainly a peculiar sort of cathartic pleasure and release that goes along with a narrative of this type of inevitably tragic nature, but in all honesty, the film is half an hour too long and at times just plain boring. I really feel like I have missed the boat with this one, am I alone in my negative opinions? I knew from the trailer (I haven’t read the book, either) that I wouldn’t like this movie, and I think I just may forgo giving it a chance altogether. Augustus’ lines make me *cringe*. I literally could not even bring myself to watch something like this, let alone read it! I’m all down for a romantic movie, but I have to draw the line when terminal illness is involved. It just makes the whole thing so sappy, cringey and it just doesn’t appeal to me at all. I liked but didn’t love this although Engelort totally won me over. In the end I thought the most touching scenes were not between Hazel and Augustus but between Hazel and her parents. Completely agree with you about the parents! Laura Dern was probably my favourite thing in the whole movie. Well, I’m not going to go see this movie! I read the book and I didn’t like it, so that’s plenty enough dislike for me. I just thought it seemed manipulative to write a love story about two kids dying from cancer. It’s only a few steps above A Walk to Remember, in my opinion. IMO John Greene is the Nicholas Sparks of YA, he’s doing what other female authors have done before, but more celebrated because he’s a dude.